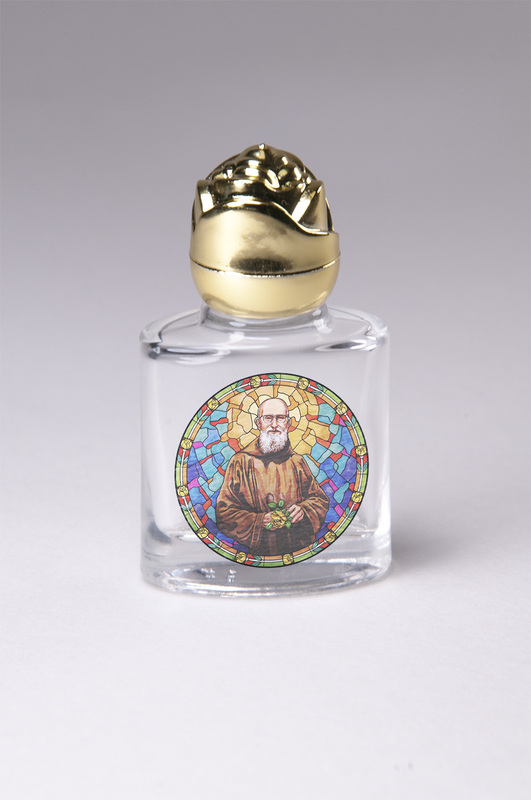 The Solanus Casey Gift Shop offers a unique selection of items related to the life and memory of Blessed Solanus Casey, a variety of books of healing, inspiration and prayer, Bibles, music, videos, statues and religious jewelry. The official provider of Bl. Solanus' materials! 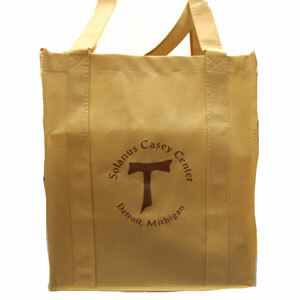 The gift shop is located inside the Solanus Casey Center. 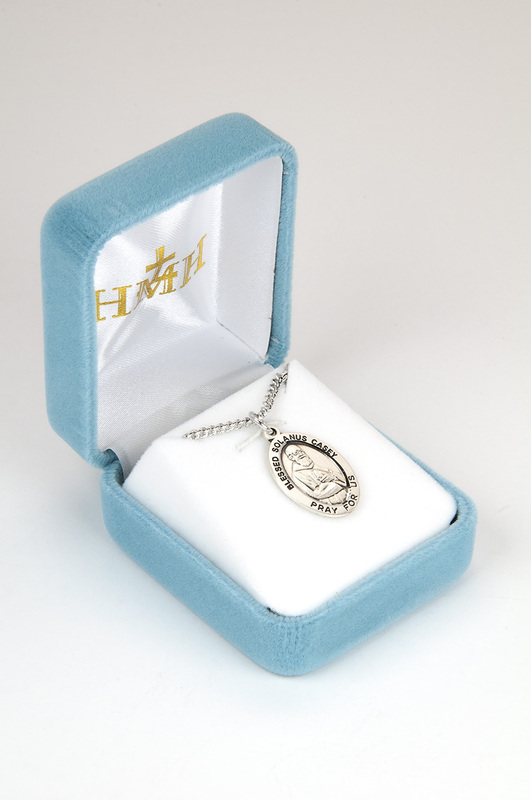 Items available include 14ct gold or sterling silver metal, Holy water bottle, Bl. 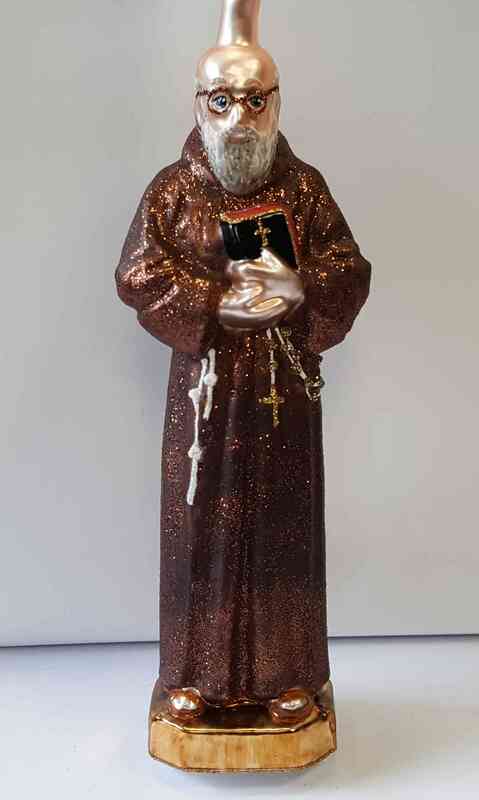 Solanus rosary and more! Also sweats, hoodies, and t-shirts are available in 3 colors (chocolate, sand, and white). 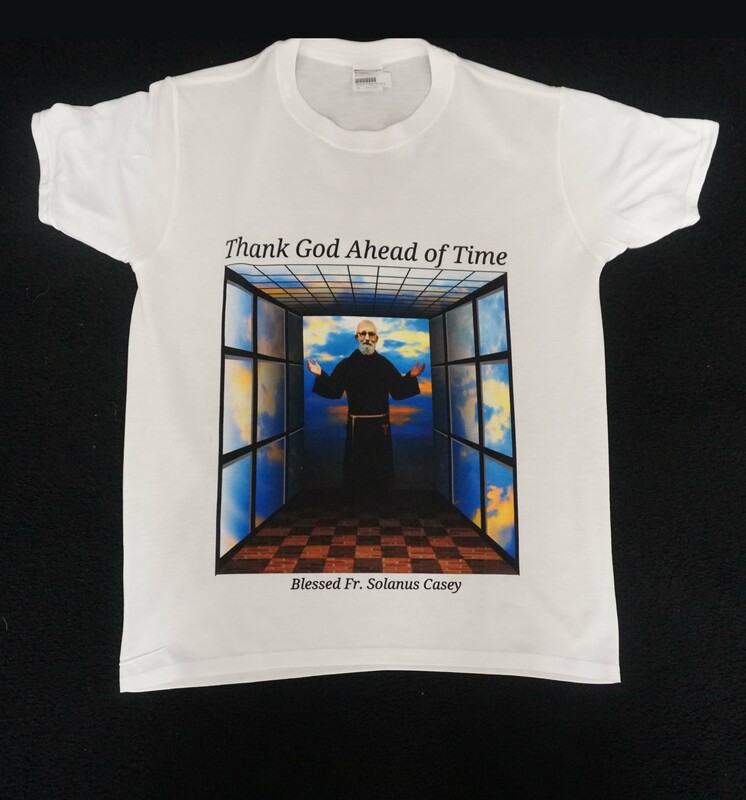 Pilgrims who visit the Solanus Casey Center are sure to find something special in our gift shop that will inspire them and rekindle memories of their visit to our Center. The Gift Shop is open daily, with the exception of holidays. Do you wish to light a candle in our Votive Chapel? Please click here. 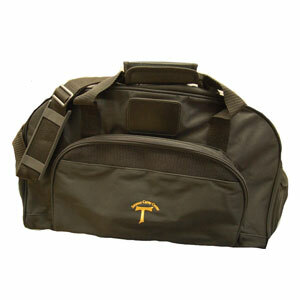 313.579.2100, ext. 197 or email jtaylor@thecapuchins.org directly. Order Images of America: Blessed Solanus Casey today! A new book on the life, ministry and road to sainthood of Blessed Solanus is now available at the Solanus Casey Center Gift Shop and online. Part of the Arcadia Publishing Images of America series, written by former Detroit Free Press religion reporter Patricia Montemurri. Whenever there was a knock at the Capuchin Monastery door, Fr. 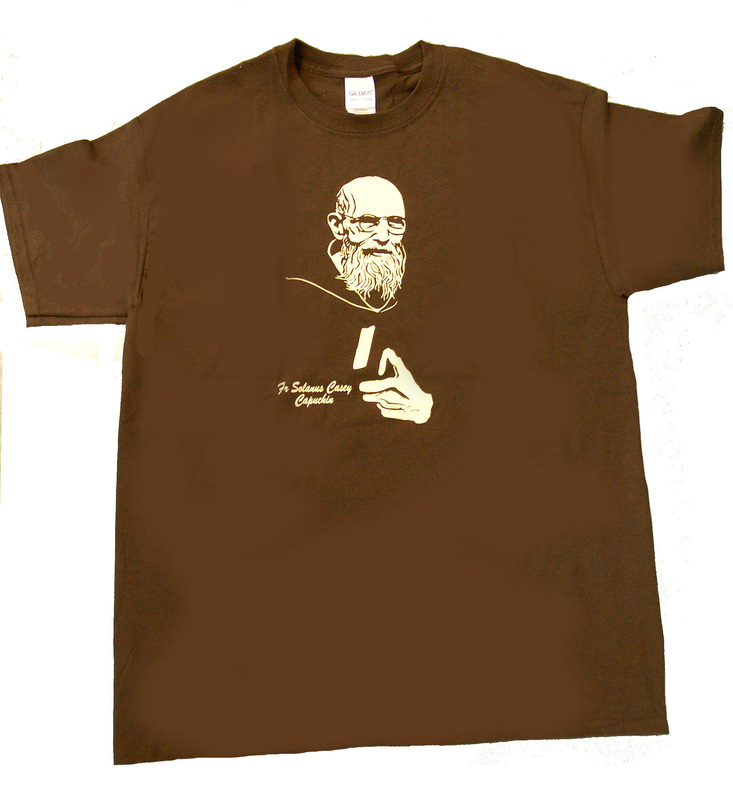 Solanus Casey answered. the Capuchin friar’s prayers brought comfort and healing to visitors he greeted at friaries in Michigan, New York, and Indiana. On September 12, 2012, inside St. Bonaventure Monastery in Detroit, where Casey’s remains are interred, a miracle happened. Minutes after a pilgrim knelt at Casey’s tomb, signs of her lifelong genetic skin disease disappeared. Pope Francis declared the healing a miracle, and nearly 70,000 people filled a Detroit football stadium on November 18, 2017, for Casey’s beatification ceremony, when the Catholic Church honored him with the title of “Blessed.” The Wisconsin-born Casey, a onetime prison guard who died in 1957 at the age of 86, is now one step and one more miracle away from becoming a saint. The photographs in Blessed Solanus Casey illustrate the arc of his life and legacy, including images from his early years and ministry to the poor, of those who say they have been healed by his prayers, and of the stirring catholic rituals accompanying the friar’s path to possible sainthood. Patricia Montemurri is an award-winning Detroit journalist and the author of Detroit Gesu Catholic Church and School. 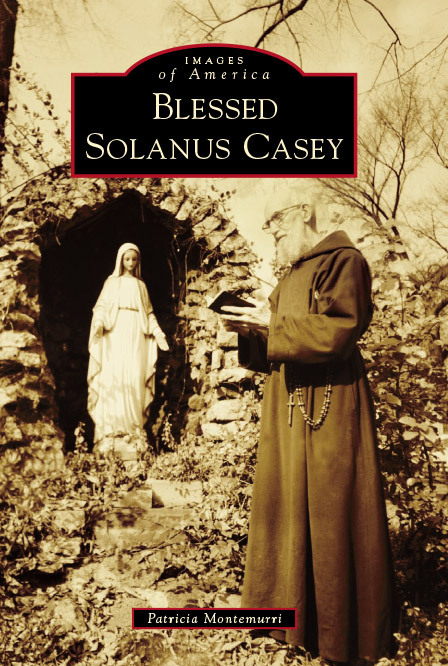 Blessed Solanus Casey’s story unfolds here through photographs from the archives of the Capuchin Franciscan Province of St. Joseph as well as from the Michigan Catholic and the photo albums of those he touched through prayer. Now available. Order your copy in time for Christmas! 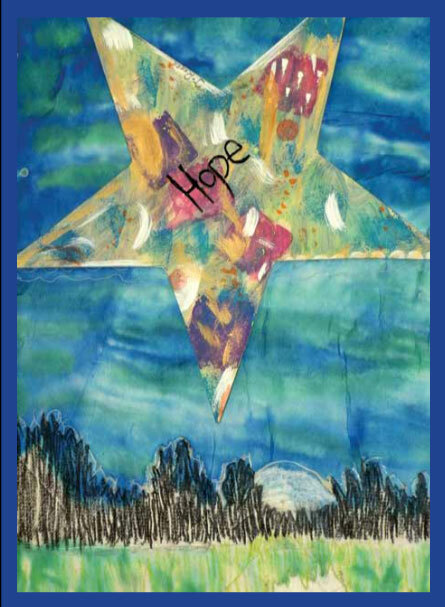 Christmas Cards made by children in the Capuchin Soup Kitchen's Rosa Parks Children’s Program are available for in-store purchase at the Solanus Casey Center Gift Shop. If you want to purchase the cards and have them shipped to you, the only way to do so would be to purchase the cards from the soon-to-be-opened Solanus Casey Center online store. 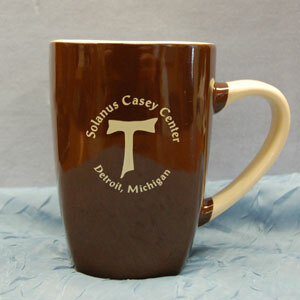 Your purchase in our Gift Shop, along with the generosity of all our donors and volunteers, helps to sustain the valuable ministry of the Solanus Casey Center. 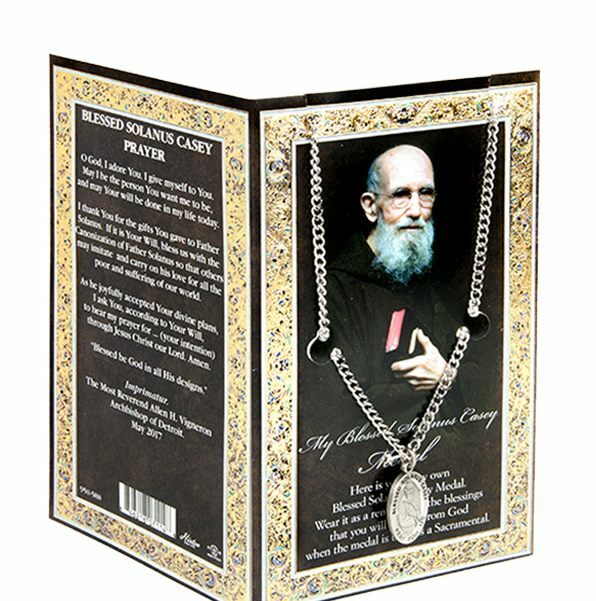 New Blessed Solanus Medal and Prayer Card. The prayer card has a short biography on Fr. 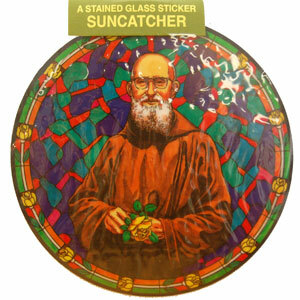 Solanus and includes the prayer for his Canonization. The chain is 24” long. SOLD OUT. An eco friendly tote bag that is perfect for perfect for groceries, books, yarn and more.